All posts in "HAFA Updates"
2015 HAFA Short Sale Update. Also, current HAFA guidelines state that first lien holders will also provide $8500 from sale proceeds to junior lien. This has now been changed to $12,000. 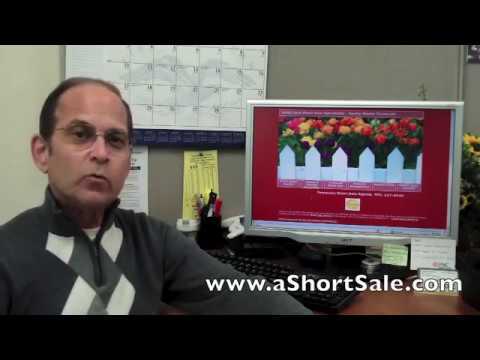 2013 is going to be a good year for homeowners needing to short sale their home. Most all major lenders and servicers have agreed to streamline the short sale process. The Home Affordable Foreclosure Alternatives (HAFA) Program is a government-sponsored initiative overseen by the U.S. Treasury Department and administered by Fannie Mae assisting all Home Affordable Modification Program (HAMP)-eligible homeowners in avoiding foreclosure,specifically through short sales or deeds-in-lieu of foreclosure. The Short Sale Notice (SSN) and the Acknowledgement of Request for Short Sale (ARSS) are now the preferred forms for servicers with regards to HAFA Short Sales. The Deed-in-Lieu (DIL) Agreement is now optional, and the Request for Approval of Short Sale (RASS) and Alternative Request for Approval of Short Sale (Alt RASS) are being phased out. The time frame for servicers to respond to a borrower’s request for a short sale has been shortened from 45 calendar days to 30 calendar days (generally). Borrowers who are 90 days or more delinquent and have a FICO score that is less than 620 will be deemed to have a “pre-determined” hardship. Servicers do not need to further validate the hardship to approve the HAFA short sale. However, they must execute a Hardship Affidavit prior to closing. A new HAFA Affidavit is now required, while both the borrower and the buyer must sign. This affidavit certifies the sale is an arm’s-length transaction (the homeownerand buyer have no previous connection to one another), that no money is beinggiven or received outside of the HUD 1, and other necessary information. The Department of the Treasury will now provide up to $5,000 as an incentive to payoff secondary lienholders. The current restriction on reselling a property within 90 days after closing is being shortened to 30 days. From 31 to 90 days, the resale price cannot exceed 120% ofthe HAFA short sale price.  Section 6.2.4.2, Chapter IV of the Handbook is amended to increase from $6,000 to $8,500 the amount a servicer may authorize the settlement agent to pay from gross proceeds to subordinate mortgage holder(s) in exchange for a lien release and full release of borrower liability.  Borrower relocation incentives will be limited to HAFA short sale or DIL transactions where the property is occupied by a borrower or a tenant at the time the SSA, Alternative RASS or DIL Agreement is executed and who will be required to vacate the property as a result of the short sale or DIL. Servicers must determine if a property subject to a HAFA transaction is occupied by a borrower or tenant who will be required to vacate and may only authorize relocation incentives for such occupants. Servicers must ensure that the HUD-1 reflects a payment to the borrower or tenant, when appropriate. Supplemental Directive 12-02 Page 19  The requirements in Section 11.2, Chapter IV of the Handbook related to credit bureau reporting of HAFA transactions are amended as follows:  If the real estate is sold for less than the full balance owed and the deficiency balance is forgiven, report the following Base Segment fields as specified: Account Status Code = 13 (Paid or closed account/zero balance) or 65 (Account paid in full/a foreclosure was started), as applicable.